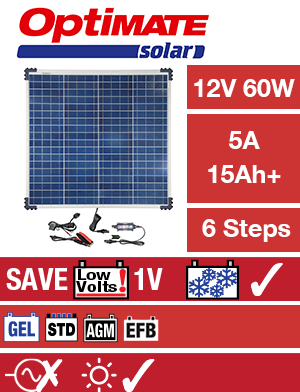 The smart OptiMate Solar system includes a 60 Watt weatherproof solar panel and a smart OptiMate Solar combination charger-monitor controller, that charges & maintains a 12V battery during the day and monitors and displays the battery state of charge at night. 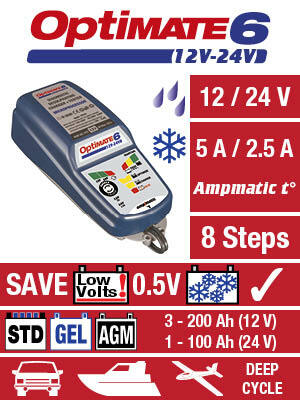 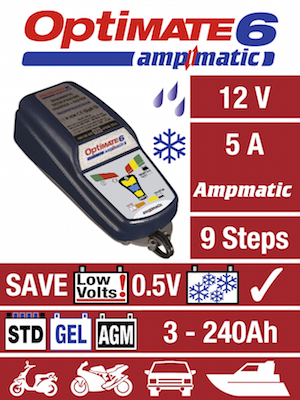 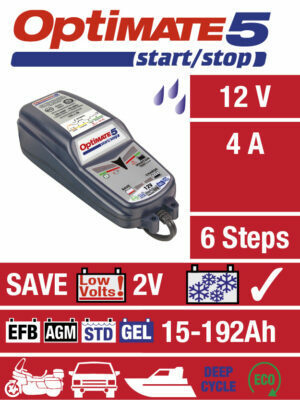 SKU: TM-523-6 Category: Battery Chargers Brands: Optimate. CHARGING AMPS : 5A from 60W panel (max. 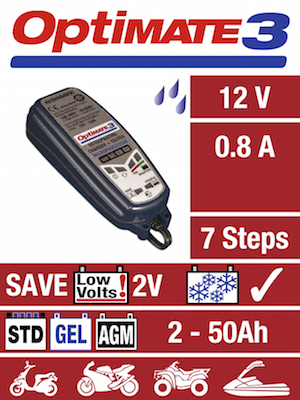 average current), 3-5A pulse current.